Providing quality as our prime motto, we are affianced in trading and supplying Vitamin A Acetate Powder. The provided Vitamin is formulated by using quality chemical combinations and latest apparatus, under the supervision of vendor’s specialists. 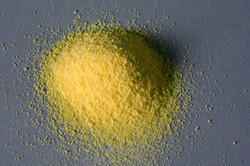 Vitamin A Acetate Powder is usually used in various pharmaceutical & chemicals industries. Respected patrons can buy this chemical from us as per their needs at reasonable rates. Food Grade: vitamin A acetate is widely used as nutritional supplement in food and beverage industries. Avanscure food grade vitamin A acetate is available as fine powder(>99% purity). 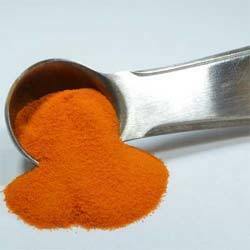 In order to meet the huge market demands, we are involved in offering best quality of Vitamin A Beta Carotene Powder. This Vitamin A Beta Carotene Powder is extensively used for the treatment of constipation can lower blood levels. Further, these products are available in the market in bulk at reasonable rates. 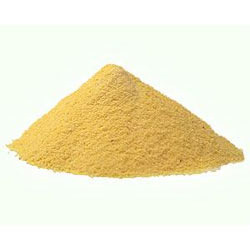 As per the requirements of the customers, we are involved in offering best quality of Vitamin A Palmitate Powder. This Vitamin A Palmitateis extensively used as an antioxidant and a source of vitamin A added to low fat milk and other dairy products to replace the vitamin content. The Vitamin A Palmitate Powder is also tested by our quality experts for their longer shelf life. Further, this Vitamin A Palmitate is safe to consume.